ECCENTRIC GIN STARTED IN THE CELLARS OF A BUILDING WHICH HAS STOOD IN LLANTRISANT FOR OVER 200 YEARS. 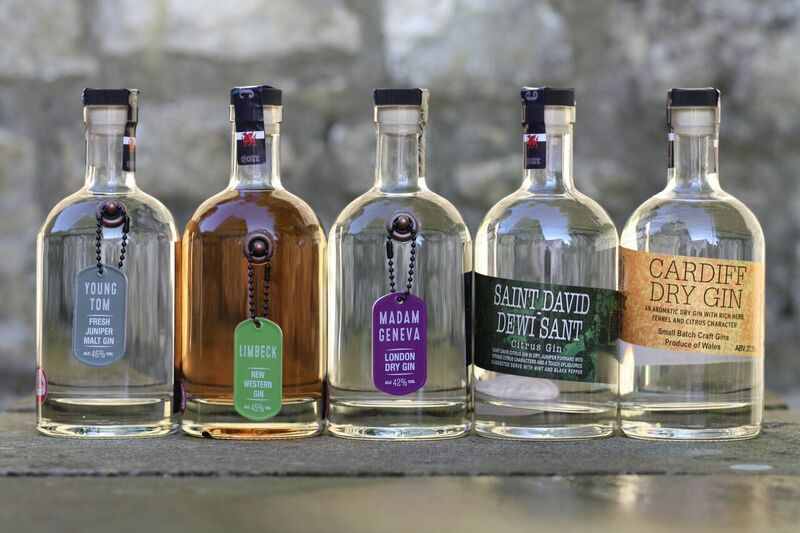 OUR GINS ARE DISTILLED BY BREWERS, MIXOLOGISTS AND EVEN A FREEMAN OF LLANTRISANT. LLANTRISANT’S ANCIENT TRADITION OF THE FREEMEN HAS SURVIVED THROUGH THE MISTS OF TIME. MORE THAN 660 YEARS SINCE THE FIRST WERE ENROLLED, IT REMAINS AS SIGNIFICANT TODAY AS IT DID IN MEDIEVAL TIMES. LLANTRISANT IS WELL KNOWN AS THE HOME OF WILLIAM PRICE, AN ECCENTRIC WHO LEGALISED CREMATION, PRACTICED DRUIDISM AND BELIEVED IN FREE-LOVE. THE BUILDING WE BEGAN IN WAS OWNED BY RODERICK LEWIS; A CLOSE FRIEND OF WILLIAM PRICE. WE HAVE SOURCED THE BEST BOTANICALS INCLUDING A SPECIALLY IMPORTED CROATIAN JUNIPER. WE ALSO FEATURE THE SACRED CELTIC BOTANICAL ‘WILD SUNFLOWER’ IN EACH OF OUR GINS. THIS BOTANICAL IS ALSO KNOWN AS ‘ELFWORT’, OR ‘MARCHALAN’ IN WELSH AND IMPARTS A SUBTLE SWEETNESS WITH AN UNDERLYING FLORAL BITTERNESS. AS BARREL MASTERS OF MANY TRADES, IT WILL COME AS NO SURPRISE THAT WE ARE USING VARIOUS TYPES OF BARRELS TO AGE DIFFERENT GIN STYLES.